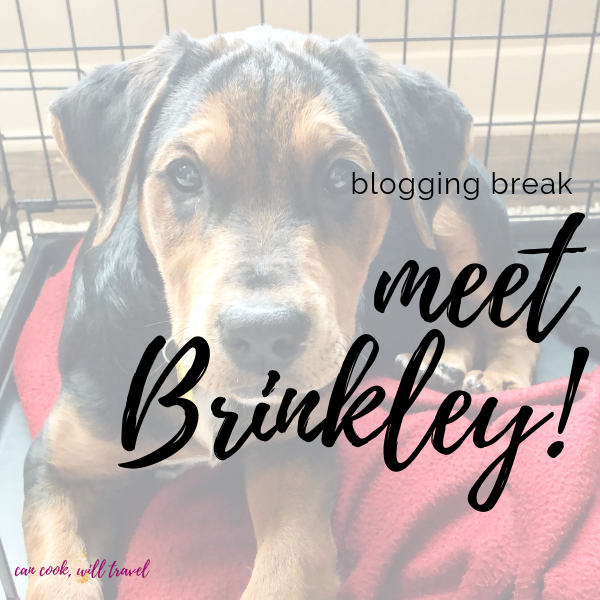 You are here: Home / Blog / Every Day Things / Why I Took a Blogging Break + Meet Brinkley! Wow, I’m actually a little embarrassed. 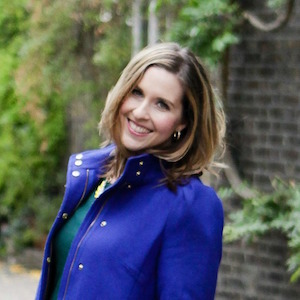 I’ve prided myself over the past 8+ years on my blogging consistency as I put out new content for you guys every week. But the truth is that I’ve been super absent for the past 3+ months. 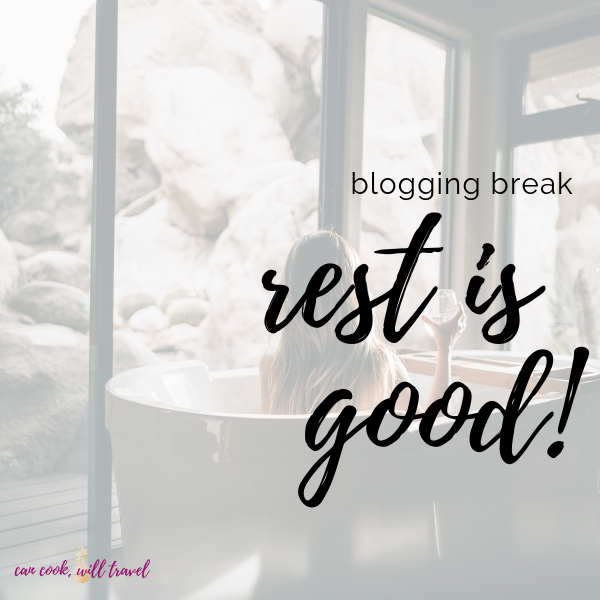 Like ridiculously absent, so I thought I’d address why I took a blogging break. So it all started back in December where I was in a major writing funk. I was kinda worn out from life and didn’t really have much inspiration. And I’ve never wanted to create content here that I’m not feeling. 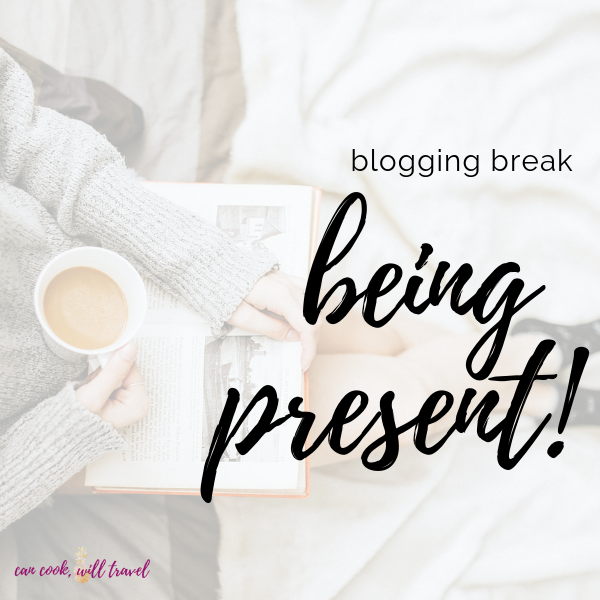 So for the first time since January 2011, I took a blogging break, and guess what…the world didn’t end! I really thought I’d get back on the horse after a couple of weeks, but I found that by listening to my gut, I needed a longer break. And again, the world kept spinning, and people kept visiting my blog. 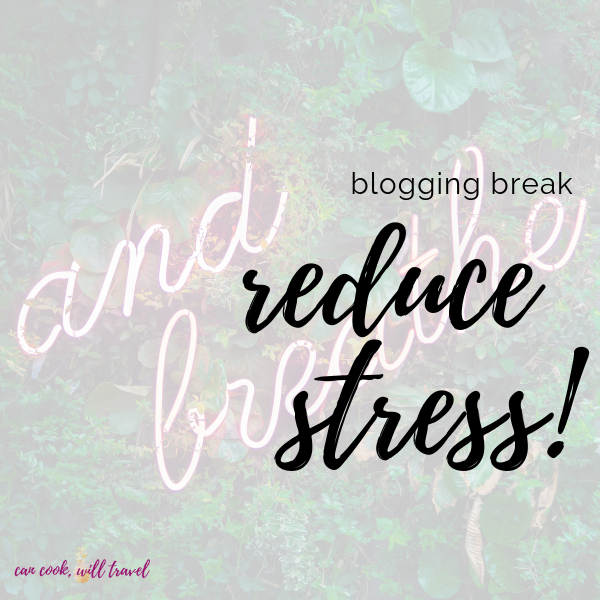 So often over the years I was so focused on getting my blogging done that I missed out on life or taking care of myself. How so? Well I would often try to hit dates for posting and would run myself ragged. Sometimes I would even cancel plans with friends trying to get posts out, which is so beyond how I want to exist. I’m not necessarily talking about sleep here but more the idea of relaxing. Often I would end my work day and then spend the next 3-5 hours cooking or writing or editing photos. And before I knew it, my evenings disappeared and I didn’t have time to recuperate. And after doing that for 8 years I was worn the F out and my body was screaming for me to stop. So I listened. I got into blogging as a way to bring joy into my life and fuse 2 hobbies: writing and cooking. So when I found in December that it was feeling like a chore, then I became out of alignment. My goals and desires were no longer meeting up with why I started this journey and I really needed time to reflect and remove unnecessary stress. And it worked! I found myself cooking again excited about flavors and honing the same dish over and over again. And now here I am writing again and it feels so good! I think initially I stopped because I didn’t feel inspired on what content to create. I could have gone through the motions and created something for the sake of having a post up, but what’s the point? 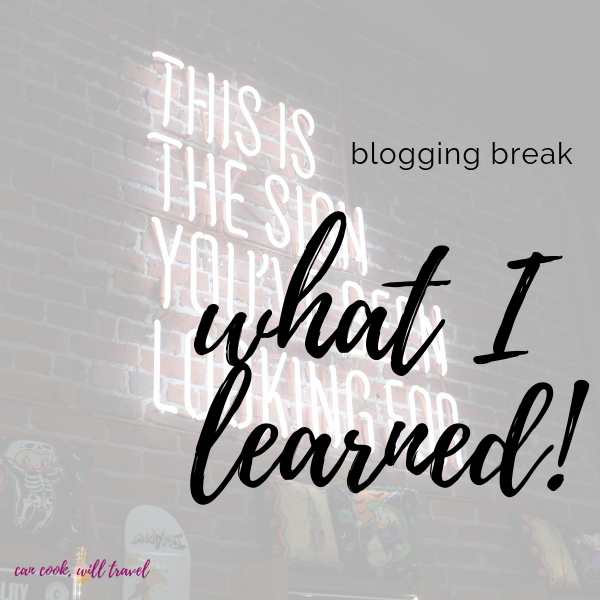 And then the past few months have been me really figuring out how to make blogging part of my life again, because I did miss it. And I’m finally starting to feel ready to tackle it, so here I am! 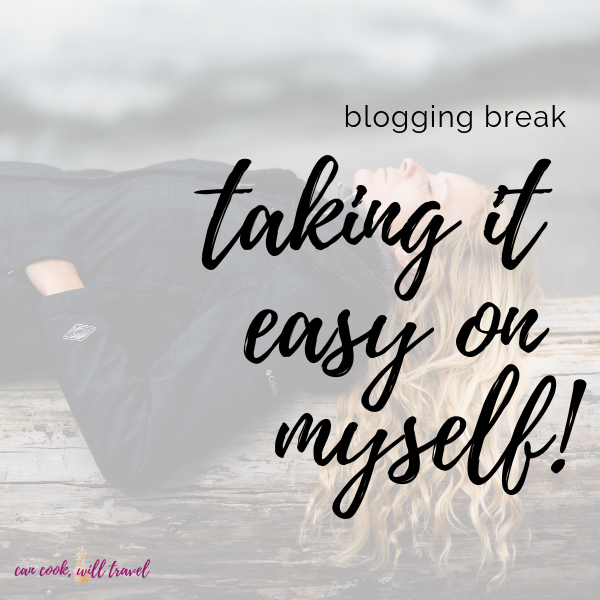 Honestly this blogging break helped me learn to go easy on myself, because I’m a recovering perfectionist. I could have beaten myself up for dropping the consistency ball, but the beautiful part was that I didn’t let that happen. Instead I embraced the break and allowed it to flow. Another huge component of this break happened in early February when I became a puppy mama. So I’ve never had a dog of my own before, because I grew up in a home where my dad was anti-indoor-pets. A part of me was scared to get a pup in case my dad refused to let him in the house. But I’m happy to report that I’m actually typing this at my parents’ home while said pup is sleeping away nearby (inside). Miracles DO happen! But back to my adorable puppy, because look at that face! I mean I literally can’t go on a walk with him without some stranger either telling me how cute he is or offering to take him home (um, why is that thing?!). 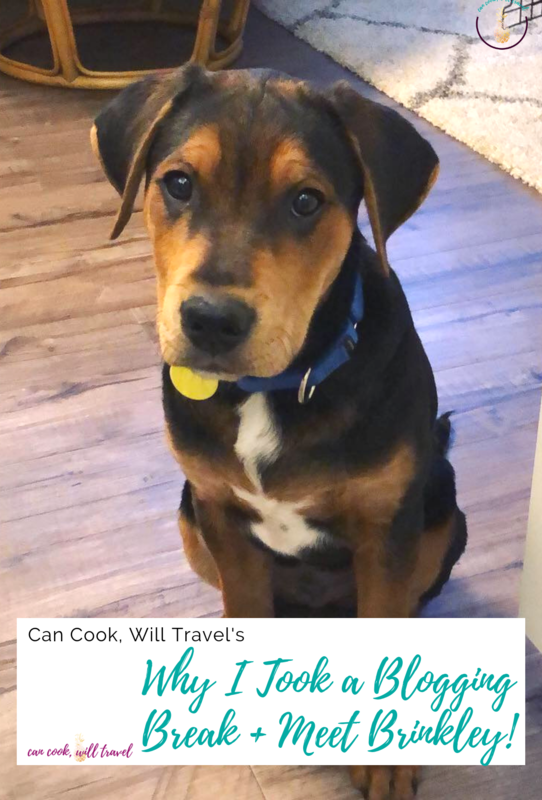 Here’s what happened that then caused me to get him: I saw this precious lab/great dane mix puppy on the elevator in my apartment building, and after the ride up my puppy clock was ticking. For those of you not in my family wondering what a “puppy clock” is…well it’s a biological clock but for puppies, not kids. My sister coined the term years ago and it’s a very real thing. So I hopped on the shelter’s site where the puppy from the elevator came from and found myself daydreaming of getting a furry baby of my own. I’ve never wanted one in an apartment because it felt mean for such tiny quarters, but so far so good! I chatted with my boyfriend about the idea, and he was beyond on board. So within 2 days, I found a little puppy was living with me. And wow did my life change. It took a few more days but I settled on the name Brinkley (a nod to You’ve Got Mail), and we’ve been besties ever since! 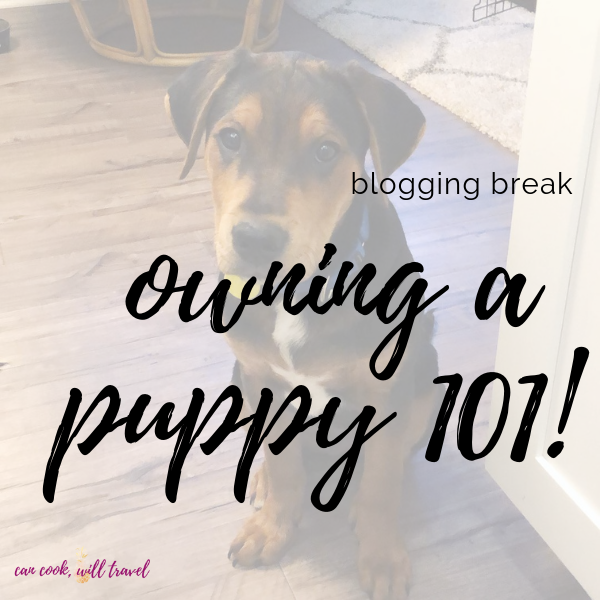 Expenses upfront for puppies (adoption fees, vet fees, food, toys, crate/kennel, treats, training, etc.) are insane. I won’t even detail right now how much I’ve spent, but it’s a whole lot! Sending a puppy to training classes is crazy expensive, but very worth it. I haven’t done it yet, and honestly Brinks is pretty well behaved, but I know it’ll be a great investment in the next several weeks. Goodbye sleep! I’ve kind of wanted to be a morning person, and I think this little guy is going to force me to become one. So…thank you?? When you get a mixed breed puppy, you’re going to want to know what kind of dog he is. Not only out of curiosity but also for understanding temperaments. I’ve done a bit of research and think I’ll invest in genetic testing for him in the next 3-4 months. Especially because then when people stop to ask, I will actually have an answer for them! Going out of town is now a big production! Because you must arrange someone to watch him, board him, or take him with you which is a huge undertaking. In the past 2 months, we’ve road tripped to my parents’ house twice, and it’s been pretty easy and successful. And then I headed to Vegas at the beginning of March and thought about him constantly. But I knew he and my boyfriend kept each other entertained. Your life suddenly revolves around this puppy, his feeding and potty schedules, and how best to entertain him. It’s a lot of work! But despite that, I know rescuing him will be one of the best things I’ve done with my life. The unconditional love and bond between us makes it all worth it. Plus we’re finally understanding each others’ languages a bit better and it’s getting easier. So in honor of Brinkley turning 5 months old recently, I wanted to introduce him to you guys! He’s a pretty sweet little man, and suddenly he’s my whole priority. To all the puppy mamas and daddies out there, you get a hell of a lot more respect from me! 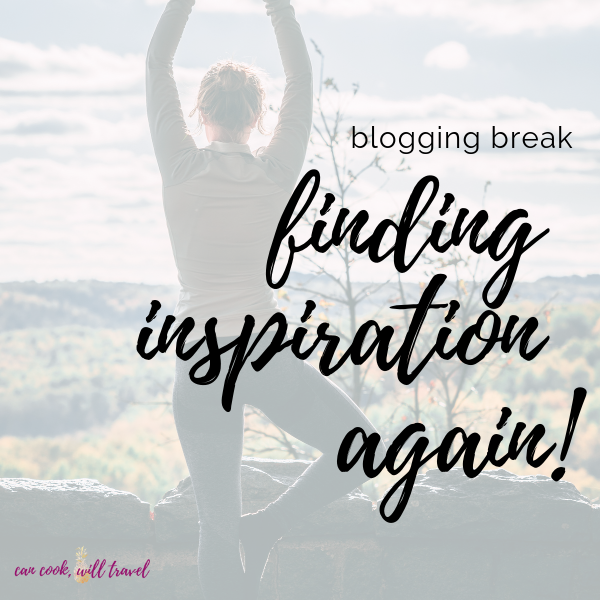 The thought of writing a blog post until now felt like a pipe dream because life wore me out. But I’m pretty happy to be taking the time right now to pop in and say I’m back. Also, when it comes to future posts, I hope I’m back to sharing consistently! 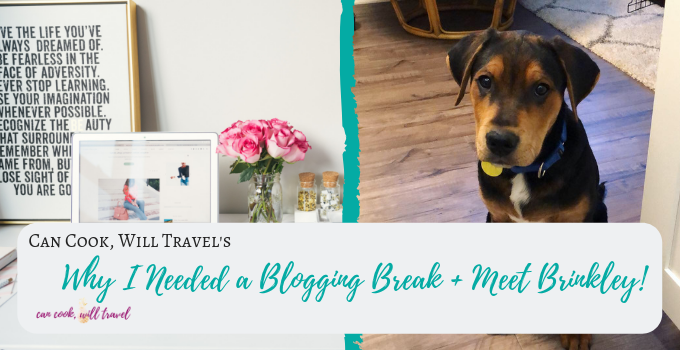 While I hated taking a blogging break, I’ve learned tons about myself and gained Brinkley in the process. I have a few recipes I’ve been whipping up lately that I’m excited to share. And my bf announced he likes desserts (since when?!) so maybe I’ll get some more baking in. Because I definitely took a baking break over the years and it’s my favorite stress relieving activity. I’d love hearing what you want more of now that my blogging break is over, so comment and tell me! More healthy dishes, allergy focused, or comfort food-ish? Please tell me, because I’m all for some inspiration along the way! Stay inspired & listen to your gut when you need a break!